I have a non-filled rectangle with some border color. 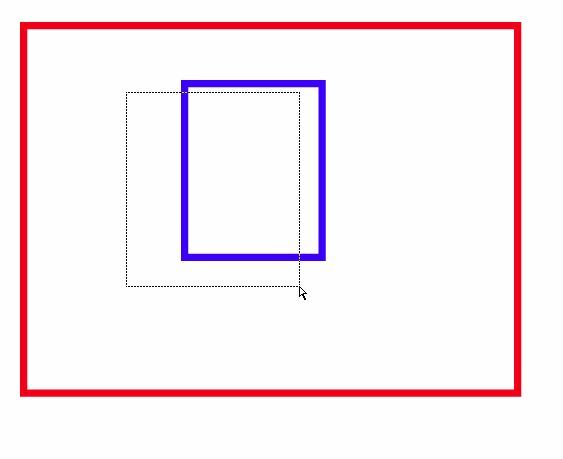 "Inside" this rectangle I have some other objects (the type of the objects doesn't matter for my problem, it could be text, other rectangles, ...). Between those "inside objects" and my outer rectangle there's a lot of space. 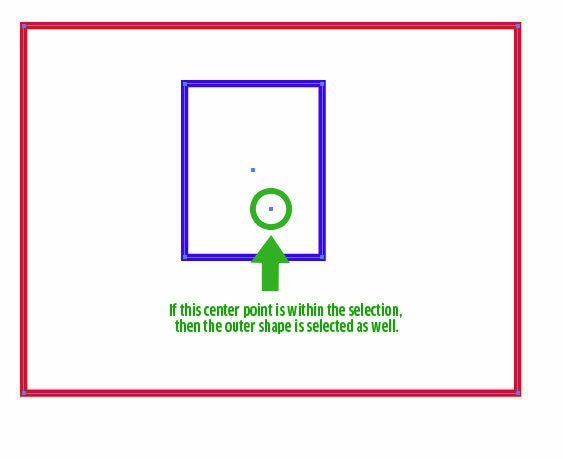 If you include the center point in your drag-selection, then the outer shape wil be selected. Remember, it's not merely the outside path that defines the shape, there's also it's center point. You can disable the center point for objects by selecting the object then toggle the center point visibility in the Attributes Panel. It sounds like you may just be accidentally selecting it. The easiest way to stop this if you have your rectangle in a fixed position is navigate to the layers panel and simply click the box by the eyeball to lock the layer. 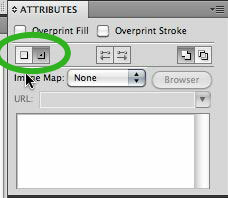 Now no matter what you do, you won't select it unless you unlock it again in the layers panel.